Gray wolves (Canis lupus) are thriving and expanding in number and distribution in Montana. This is because of natural emigration from Canada and a successful federal effort that reintroduced wolves into Yellowstone National Park (YNP) and the wilderness areas of central Idaho. There are probably more wild wolves in Montana now than at any time in the past 70 years. Since 1974, the U.S. Fish and Wildlife Service (USFWS) has managed wolves in Montana, under the authority of the Endangered Species Act (ESA). Wolves met the biological requirements for recovery at the end of 2002. Upon delisting, management authority for wolves will return to the state governments where wolves reside. But before USFWS will propose to delist, federal managers must be confident that a secure, viable population of gray wolves will persist if the protections of the ESA are removed. To provide that assurance, Montana, Idaho, and Wyoming must develop conservation and management plans and adopt other regulatory mechanisms in state law. USFWS has managed wolves in Montana as either endangered, threatened, or as experimental, nonessential under the authority of ESA. Montana Fish, Wildlife & Parks (FWP) proposes to prepare and adopt a wolf conservation and management plan so that management authority can be transferred to the State of Montana when the gray wolf is delisted. The State of Montana would adopt a wolf conservation and management plan prior to USFWS.s proposal to delist wolves, but the plan would not be implemented until USFWS transfers legal authority. Montana statutes charge FWP with conservation and management of resident wildlife. FWP is using the Montana Environmental Policy Act (MEPA) as a tool to decide the primary question of whether the state will assume management responsibility. Secondarily, the process of preparing an Environmental Impact Statement (EIS) requires FWP to decide how wolves will be managed if it assumes responsibility. FWP recognizes the gray wolf as a native species and is committed to recovery of the species within Montana. The purpose of the plan is to manage wolves consistent with Montana.s own state laws, policies, rules, and regulations. FWP intends to implement positive conservation and management strategies to make sure that all federal requirements are met, recovery is complete, and that wolves are integrated as a valuable part of Montana.s wildlife heritage. FWP also recognizes that the long-term persistence of wolves in Montana depends on carefully balancing the complex biological, social, economic, and political aspects of wolf management. FWP will consider the wide spectrum of interests in designing and implementing a program that is responsive to the opportunities and addresses the challenges faced by people directly affected by wolves. Managing gray wolves as a resident native species according to state guidelines will allow the program to be more flexible and adaptable in meeting the needs and interests of Montana citizens and visitors. Managing gray wolves will not be easy, but wolf restoration is fundamentally consistent with Montana.s history of wildlife conservation. FWP believes that it is in Montana.s best interest to recognize and take on the challenges, responsibilities, and benefits of a managing a restored wolf population. The plan will address wolf conservation and management anywhere wolves occur in Montana, except where management authority is otherwise explicitly reserved to other jurisdictions, such as Montana.s Indian tribes. Ultimately, this EIS will result in a management and conservation plan which would be implemented through the combined decisions and actions of the FWP Commission, the seven FWP administrative regional offices, FWP.s headquarters in Helena, the Montana Department of Livestock (MDOL), USDA Wildlife Services (WS), local law enforcement or county authorities, and other cooperators. Montana's effort to assume management of this endangered species began when FWP solicited public comments on the agency taking a more active role during the recovery phase. That effort resulted in the 1995 draft Wolf Recovery and Management Plan. That plan was not implemented, primarily because of uncertainties about funding and agency responsibilities. Then, five years later, the effort hit full stride when Gov. Marc Racicot convened Montana.s Wolf Management Advisory Council. The 12-member Wolf Management Advisory Council.a mix of livestock producers, hunters, educators, outfitters, conservationists, and other citizens.worked for seven months to develop 26 "Guiding Principles" organized in four broad subject areas that address the public interest, public safety, maintaining wildlife populations and protecting the livestock industry. The council delivered its report and recommendations to Gov. Racicot, and then governor-elect Judy Martz, in early 2001. Based on its public deliberations, the council reported that the State of Montana could contribute to wolf recovery in the northern Rockies. Furthermore, the council reported that, once recovered, wolves should be allowed to find their place within Montana's complex biological, social, economic, and political landscape and that it is appropriate for FWP to develop a program. With the advisory council's report in hand, Gov. Judy Martz directed FWP to use it to frame a wolf management plan. In response, FWP released the .Montana Wolf Conservation and Management Planning Document. in January 2002 (Appendix 1). While the 117-page planning document reflected what a state wolf management plan could resemble if it were based on the council.s work and recommendations, FWP still needed to hear from others and explore various alternatives before adopting a management plan in full compliance with the legal requirements of MEPA. In January 2002, FWP mailed about 1,000 post cards announcing: (1) the completion of the Montana Wolf Conservation and Management Planning Document; and (2) that an environmental review process was set to began. Using this document as a basis for discussion, FWP opened the .scoping. comment period for its wolf management EIS on Feb. 25, 2002 by asking the public to identify issues and concerns about a state-sponsored wolf management program. The public was invited to provide oral comments to FWP at one of 12 community work sessions held throughout the state in March-April 2002. In addition, FWP invited the public to submit comments in writing or electronically. More than 800 people participated by attending a work session, and thousands wrote comments or sent emails, representing nearly every Montana county. In addition, comments came from 49 states, including the District of Columbia and Puerto Rico; and eight foreign countries, including Australia, Canada, Denmark, Germany, Israel, Mexico and the United Kingdom. In all, FWP collected nearly 4,000 comments and written correspondences. Because many of the written letters and Emails identified more than one issue or concern, FWP recorded nearly 6,700 individual comments. The Wolf Management Advisory Council and the FWP Commission reviewed a summary of the public comments gathered during the 2002 scoping effort and the subsequent Draft EIS prepared by FWP in response. In it, FWP analyzed five alternatives that reflected the spectrum of comments. One of the alternatives was largely based on the work of the council, and FWP identified it as the preferred alternative. Postcards were again mailed to announce the availability of the Draft EIS. FWP released the Draft EIS to the public on March 12, 2003 and also made it available on the FWP website. FWP designed another 60-day comment period to accept comments on the Draft EIS, running from March 12 through May 12, 2003. FWP hosted 14 community work sessions across the state to accept oral comments. FWP also provided opportunities for the public to comment electronically via the FWP website, in addition to accepting written letters and postcards via postal mail or fax. During this comment period, FWP asked the public to provide more specific feedback by identifying which alternative/s best addressed their concerns about the future of wolf conservation and management in Montana and why. FWP also asked the public to identify what, if anything, they would modify about the alternative so that it better addressed their concerns. About 500 people attended the community work sessions in 2003, and hundreds more sent emails, letters, postcards, or faxes. In sum, FWP received about 5,500 comments on the Draft EIS. Because FWP asked for feedback specifically about the alternatives, comments were more complicated and detailed. In addition, comments often referenced more than one alternative and many different issues. Many comments were repetitive. The Montana Wolf Management Advisory Council identified roughly 30 issues during its deliberations in 2000. During the 2002 scoping process, FWP asked Montanans to identify their issues in a similar manner. Comments received during the public scoping period (community work sessions, written letters and postcards, and the E-mail correspondence) were entered into a computer database for systematic analysis. There was a significant degree of overlap between the council.s list and the list of issues generated by the public at large. In fact, many public comments supported the work of the council and agreed with its recommendations during the public comment opportunities in 2002 and 2003. The comments gathered in 2003 on the Draft EIS were processed using a similar protocol as the 2002 comments. Analysis of both the 2002 and 2003 public comments revealed broad themes (Table 1). These issues were addressed as part of one or more alternatives. Even though MEPA provides state agencies the latitude to adopt a Draft EIS as a Final EIS, FWP decided against it. Because of the complexity, scope, and degree of controversy surrounding wolf restoration and management, FWP wanted to take the time for one last thorough evaluation of the preferred alternative, a final review of all the public comments, and to reconsider the substantive issues. In preparing the Final EIS, FWP still adopts by reference the Draft EIS and all the supporting information obtained in the Draft EIS. However, FWP also updates the Final EIS with new information obtained since circulation of the draft and explains why it recommends the preferred alternative. In the Draft EIS, FWP prepared and analyzed the potential impacts of five different alternatives, including the preferred alternative. No significant new issues or omissions were identified during the second public comment opportunity in 2003. Therefore, no new alternatives were created and analyzed in the Final EIS. Based on the work of the council, the public comments, and the impacts analysis, FWP concludes that the preferred alternative is the best option to meet Montana.s legal requirement to maintain a recovered wolf population, to assure that the ecological needs of wolves are met, to resolve conflicts swiftly and effectively, and to address public concerns. This alternative is the best overall approach to balance the benefits of wolf restoration with the costs and to minimize the impacts on those most directly affected by wolves. FWP received a number of comments identifying issues or concerns that are beyond the sideboards of the federal wolf recovery program, beyond the statutory authority of the State of Montana, not relevant to the decisions being made, or otherwise outside the scope of the proposed action. These issues are listed below.
? changes in state or federal highway design and construction, changes to federal land management practices, grazing management, travel management strategies, road densities, area closures, use of motorized vehicles, creation of more wilderness areas, etc.
? USFWS decision to delist the gray wolf in the northern Rockies is premature; related issue was that the wolf population would continue to warrant the protections of ESA even after reaching the biological recovery goals because of concerns about how western states would manage the population.
? USFWS proposal to reclassify the gray wolf and adopt new regulations, as published in the Federal Register July 2000.
? wolf population should be allowed increase in number and distribution and that human presence or uses of the landscape should be subordinated to wolf use.
? the potential for legal challenges to either state or federal actions related to the delisting of the gray wolf in the northern Rockies or the implementation of Montana.s program. Wolves started naturally recolonizing the Glacier National Park (GNP) area of northwestern Montana in 1979, although they had been seen sporadically prior to that. 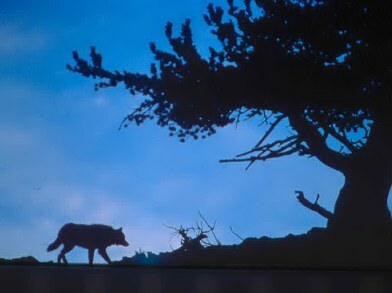 In 1986, the first wolf den in over 50 years was documented within GNP. Since then, new packs have established throughout western Montana due to dispersers from Canada and the GNP area. To hasten recovery in the other two areas, USFWS reintroduced a total of 66 wolves from Alberta and British Columbia into central Idaho and YNP in 1995 and 1996. Gray wolves are thriving and expanding in number and distribution in Montana, Idaho, and Wyoming (Figures 1 and 2). Within Montana alone at the end of 2002, there were approximately 180 wolves in about 35 packs distributed primarily in western Montana (Figures 1 and 2). Sixteen of those packs met the federal recovery definition of breeding pair. While wolves are still found primarily in northwestern Montana and in the GYA, packs are slowly establishing along the Montana/Idaho border, in south central Montana, and outside the northeastern corner of YNP. There have been occasional reports in the Crazy, Highwood and Snowy mountains, but no breeding pack has been confirmed. The gray wolf population in the northern Rockies met the biological recovery goal at the end of 2002. The gray wolf is a social species that lives in packs. The pack typically consists of a socially dominant breeding pair, their offspring of the previous year, and new pups. Pack size is highly variable, ranging from as few as three to as many as 37. Such large packs tend to be very unstable. More typical pack size in the State of Montana (not counting packs in YNP) is between four and fifteen. Wolves are opportunistic carnivores and are keenly adapted to hunt large prey species such as deer, elk and moose. Wolves may also prey on smaller species, scavenge carrion or even eat vegetation. In Montana, white-tailed deer, mule deer, elk, and moose make up the majority of wolf diets. Ungulates will comprise different proportions of wolf diets, depending on the relative abundance and distribution of prey availability within the territory. Wolves may also kill and feed upon domestic livestock such as cattle, sheep, llamas, horses, goats, or dogs. Pack territory boundaries and sizes vary from year to year. Similarly, a wolf pack may travel in its territory differently fro one year to the next because of changes in prey availability or distribution, conflict with neighboring packs, or the establishment of a new neighboring pack. Wolves demonstrated a greater tolerance of human presence and disturbance than previously thought characteristic of the species. It was previously believed that higher elevation public lands would comprise the primary occupied habitats. While some packs did establish territories in backcountry areas, most preferred lower elevations. Gray wolves tend to favor gentle terrain where prey is more abundant, particularly in winter. Wolf packs may use or travel through private lands and co-exist in close proximity with people and livestock. Wolf packs are established across a complex array of public, private, corporate-owned lands, land uses, and degrees of rural development. Acceptance of wolf presence, and the use of private lands is highly variable in space and time. Given the mobility of the species and the extent to which these lands are intermingled, it would not be unusual for a wolf to traverse multiple landownerships in a single day. Wolves in Montana die from a variety of causes, usually classified as natural or human-caused. Natural mortalities occur during territorial conflicts between adjacent packs, due to injuries incurred while hunting prey, old age, disease, starvation, or accidents. Humans usually are the largest cause of wolf mortality and the only cause that can significantly affect populations at recovery levels. Human-caused mortality includes control actions to resolve conflicts, legal and illegal killings, as well as car/train collisions. Wolf populations increase or decrease through the combination and interaction of wolf densities and prey densities. Actual rates of change depend on whether the wolf population is pioneering vacant habitat (as in YNP and central Idaho during the first few years post-reintroduction), whether the population is well established (as in northwestern Montana), and food availability. The degree and type of legal protection, agency control actions, and regulation harvest will also influence population trends. FWP initiated this EIS to more completely involve all Montanans and other interested parties in the wolf planning process and to ensure full compliance with the MEPA. Several potential alternatives were identified through the public scoping process. 1. No gray wolf recovery program in the northern Rockies or individual wolves present in Montana. This alternative was not considered because it is outside the sideboards established by the Northern Rocky Mountain Wolf Recovery Plan, which calls for a viable, secure wolf population in the states of Montana, Idaho, and Wyoming. Removing all wolves from Montana is neither feasible nor legal. The question of whether or not wolves will be present in Montana is no longer relevant. Alternatives in this EIS must address the question of how gray wolves in Montana will be managed in the future. 2. Delist the gray wolf from ESA, but USFWS retains management responsibility. The U.S. Congress charges USFWS with the recovery of listed species, and ESA directs the USFWS to delist species once recovery criteria are met. There is no legal mechanism or precedent for the USFWS to manage a delisted species. Indeed, the opposite is true. The respective state fish and wildlife agencies are the traditional and appropriate entity to manage non-imperiled species--as resident, native wildlife according to state laws and regulations. For USFWS to continue managing the gray wolf in Montana, the species would need to remain listed under ESA, even after recovery criteria are met. This would conflict with USFWS.s authority and the legal requirements of ESA. 3. Changes in how USFWS implements the recovery program in Montana. A related alternative could involve changes to ESA. The states, through their respective fish and wildlife agencies, are encouraged to conserve and manage species so that federal ESA protections are not warranted. However, once a species is listed under ESA, the U.S. Congress invests almost sole authority to oversee recovery efforts with USFWS and their cooperating partners due to the national value associated with recovering rare and imperiled species. In 1995, FWP decided that it would not formally participate as a cooperator in shaping and implementing the recovery program. However, FWP has participated informally through consultation and information exchange since then. FWP continues to informally consult with UWFWS, but does not have any decision-making authority in the federal program currently. Modification of ESA is a separate issue and well beyond the scope of the proposed action. In general terms, most public scoping comments fell along a continuum from highly protectionist philosophies to highly exploitive philosophies. More specifically, input ranged from the need to prevent all wolf mortalities (no matter what the circumstances) to the need to kill or remove all wolves from Montana before any more .damage is done.. This philosophical spectrum represents peoples. values, opinions, and beliefs--the social factors that need to be considered. The alternatives represent that philosophical continuum within the sideboards of the federal requirement for a secure, viable gray wolf population well into the future. Because of the significant number of comments taken during the scoping period, FWP consulted with the Wolf Management Advisory Council prior to finalizing the alternatives presented in this EIS. In January 2003, FWP and the council discussed and examined new information and a summary of public comments. Ultimately, FWP crafted a total of five alternatives. One alternative suggests that FWP would not develop and adopt a state wolf management program. Three alternatives, presenting a spectrum of approaches, suggest that FWP should adopt a management program. One of these three is the work of the council. At the January 2003 meeting, the council discussed several new issues that arose during the scoping process, revisited some issues it had previously discussed, and formally endorsed several updates to their original planning document. The updates are incorporated into their alternative in the Final EIS, which FWP identifies as its preferred alternative. The fifth alternative presents a .contingency,. or interim plan that FWP would consider implementing if delisting were delayed because of litigation or delays in the planning efforts in other states. The main issues selected for further analysis and which underlie the specific details of the alternatives are: wolf conservation and management, social factors, administration, prey populations, livestock, and compensation. Under this alternative, Montana would not prepare or adopt a state conservation and management plan. FWP would complete the EIS process and sign a Record of Decision indicating that it will not take any further action. Because the state would not develop a plan, the USFWS would not propose to delist the gray wolf. Therefore, wolves in Montana would continue to be managed by the USFWS. This alternative represents a continuation of the existing situation. USFWS and its cooperating partners carry out all management, monitoring, public outreach, and technical assistance to landowners. Wolves occurring within the Northwestern Montana Recovery Area are managed as .threatened. while wolves occurring elsewhere in Montana are managed as .experimental, non-essential. according to the final rules adopted for the reintroduction effort (USFWS 1994a). The USFWS wolf recovery program in the northern Rockies is funded through the U.S. Congressional budgeting and appropriations process. FWP occasionally consults informally with USFWS as needed. The current FWP budget will cover the administrative costs of ongoing informal coordination. USFWS decision-making is guided by ESA, the Northern Rockies Wolf Recovery Plan (USFWS 1987) and its amendments, the Northwestern Montana and Central Idaho Interim Wolf Control Plan (USFWS 1999), the Final EIS on Reintroductions of Gray Wolves to YNP and Central Idaho, and the experimental rules (USFWS 1994a). The USFWS could adopt or amend management policies or regulations at any time in the future, so long as the changes were consistent with ESA requirements to recover the species and the proper administrative steps are followed. Wolf management on behalf of other interests is somewhat limited. The primary focus of the federal program is on species recovery.increase wolf numbers and distribution so that protection under ESA is no longer warranted. USFWS may or may not be able to address certain issues, depending on the legality or consistency with existing federal regulations. The federal program emphasizes conflict resolution for livestock and human safety concerns rather than incorporate proactive wildlife management principles to adjust wolf abundance or distribution per se. USFWS would not carry out any particular management on behalf of prey populations, but the agency acknowledges that wolf predation can influence prey population abundance or distribution, particularly in conjunction with other environmental factors or concurrent with human hunting. FWP would continue managing ungulates subject to existing plans and policies. USFWS and WS respond to and resolve wolf-livestock complaints according to existing federal regulations. Recent changes in the classification of the gray wolf to .threatened. in northwestern Montana provide more flexibility for federal officials to resolve conflicts, particularly on private lands. (USFWS 2003a). Federal officials attempt to resolve conflicts as quickly and efficiently as possible by focusing on the offending individual/s problem wolves. Management tools include technical assistance to reduce the conflict potential, telemetry-based monitoring, non-lethal hazing devices (or munitions by permit), relocation, and lethal control. For as long as the gray wolf is listed under ESA, actions by livestock producers are constrained by federal regulations. The Defenders of Wildlife compensation program is intended to assist in the recovery efforts of listed species. Defenders of Wildlife will presumably continue providing compensation payments and cost-sharing preventative management tools. However, these efforts are voluntary and sustained by private donations. This Alternative is based on the comments and recommendations of a diverse 12-member citizens group, the Montana Wolf Management Advisory Council, and an Interagency Technical Committee. Under this alternative, FWP adopts and implements the council.s Wolf Conservation and Management Planning Document and the updates to the document described in this EIS. This document describes a spectrum of management activities that maintain viable populations of wolves and their prey, resolve wolf-livestock conflicts, and assure human safety. This alternative mirrors public comments calling on FWP to seek common ground between wolf advocates and those most directly affected by wolf presence. In addition, this alternative is based on public calls for a balanced wolf management program that is consistent with modern wildlife management practices and how FWP manages other wildlife species. Upon federal delisting, provisions of SB163 take effect and wolves would automatically be reclassified under state law from .endangered. to a .species in need of management.. This statutory classification offers full legal protection under state law. Implementation of this alternative is contingent on securing adequate funding. Implementation also requires FWP to develop and adopt final administrative rules and regulations under the .species in need of management. designation. State laws and administrative rules become the regulatory and legal mechanisms guiding management. FWP and the FWP Commission will establish the regulatory framework to manage the species. FWP is responsible for implementing monitoring, research, law enforcement, public outreach, and other functions. The FWP Commission oversees FWP policy. A MOU will be signed by FWP, MDOL, and WS to address wolf-livestock conflicts. The Montana Legislature maintains its budget oversight authority. Ongoing interagency, tribal, and interstate coordination activities are important cornerstones of program implementation and administration. FWP would recognize the gray wolf as a native species and would integrate wolves as a valuable part of Montana.s wildlife heritage. Wolves will be integrated and sustained in suitable habitats within complex management settings. The wolf program will be based on principles of adaptive management. Management strategies and conflict resolution tools will be more conservative as the number of breeding pairs according to the federal recovery definition decreases, approaching the legal minimum. In contrast, management strategies become more liberal as the number of breeding pairs. Ultimately, the status of the wolf population itself identifies the appropriate management strategies. Fifteen breeding pairs will be used as the signal to change management strategies. An adaptive approach will help FWP implement its wolf program over the wide range of social acceptance values. Sensitivity towards and prompt resolution of conflict where and when it develops is an important condition of not administratively capping wolf numbers or defining distribution. By applying the federal recovery definition of breeding pair, FWP would incorporate an added measure of security and margin for error in the face of unforeseen future events, as well as greater flexibility for management decisions on a day to day basis. Successful reproduction would be documented as well. Because not every pack (or social group) of wolves would meet the federal recovery definition as a breeding pair, more groups of wolves would also exist on the landscape in assurance that Montana.s minimum contribution towards the tri-state total is achieved. As the Montana wolf population becomes more established, through the monitoring program, FWP will evaluate a more general definition of a social group (four or more wolves traveling in winter) as a potential proxy for a breeding pair. Wolf distribution in Montana, just as for all wildlife, will ultimately be defined by the interaction of the species ecological requirements and public acceptance, not through artificial delineations. Wolves will be encouraged on large contiguous blocks of public land, managed primarily as backcountry areas or national parks where there is the least potential for conflict, particularly with livestock. Wolf packs in areas of interspersed public and private lands will be managed like other free-ranging wildlife in Montana and within the constraints of the biological and social characteristics, the physical attributes of the environment, land ownership, and land uses. Some agency discretion and flexibility will be exercised to accommodate the unique attributes of each pack, its history, the site-specific characteristics of its home range, landowner preferences, or other factors that cannot be reasonably predicted at this time. Management flexibility will be crucial to address all of the public interests that surround wolves. Wolf population management will include the full range of tools from non-lethal to lethal and will incorporate public outreach, conservation education, law enforcement, and landowner relations. An effective management program should match the management strategies to the environments or setting in which each wolf pack occurs, recognizing that wolves interact with and respond to the environment in which they live, too. Potential management actions will be evaluated in light of prevailing conditions as well as extenuating circumstances. FWP has the primary responsibility to monitor the wolf population, although collaborative efforts with other agencies and universities will be important. FWP will estimate wolf numbers, pack distribution. Document reproduction and tabulate mortality. FWP will also tabulate the number of breeding pairs meeting the federal recovery definition. Concurrently, FWP would also tabulate packs according to a more general definition of social group, meaning .four or more wolves traveling in winter.. While there is no guarantee that a group of four wolves traveling in winter would include young of the year, it is indicative of a socially cohesive group holding a territory and capable of reproduction. Four or more wolves traveling together will likely contain a male and female as an alpha pair and that has or will produce young in the spring. Determining pack counts in winter would follow the peak of human-caused mortality on adult wolves associated with summer/fall livestock grazing seasons, potential illegal mortality during the fall big game hunting seasons, and the harvest expected through regulated hunting and trapping seasons. The monitoring program will help confirm reproduction. FWP will use the monitoring program to verify that the more general definition is adequate to document that the population is reproducing and secure. Once FWP becomes more confident that the more general definition is adequate, it will be applied within the adaptive management framework and FWP would not monitor packs using the more rigorous federal recovery definition. Maintaining the federal recovery definition as the monitoring metric under adaptive management over the long term may be too stringent for a recovered population, especially in light of the difficulty in distinguishing pups from similar sized adults in December and the expense of radio telemetry. USFWS data indicate that there is a significant correlation between the number of packs meeting the federal recovery definition as a breeding pair and the number of social groups according to the more general definition of four or more wolves traveling in winter (Meier et al. in prep), lending greater confidence that the more general definition will prove adequate for the purposes of the monitoring program as well as the basis for decision-making within an adaptive management framework. When the wolf population no longer fits the definition of a species .in need of management. or when wolf numbers have increased and population regulation is needed, the FWP Commission may reclassify the wolf as a big game animal or a furbearer. Regulated public harvest of wolves by hunting and trapping during designated seasons will help FWP manage wolf numbers, fine tune distribution, and would take place within a comprehensive management program. Regulated wolf harvest would take place within the larger context of multi-species management programs, would be biologically sustainable, and would not compromise the investments made to recover the gray wolf. Within the context of a comprehensive program, regulated harvest should advance overall conservation goals by building social tolerance, interest in, and value for the species among those who would otherwise view wolf recovery as detrimental to their ungulate hunting experiences. Harvest management would proceed adaptively, but all hunting and trapping is precluded if there are fewer than 15 breeding pairs in Montana. The Montana Legislature would establish the license, fees, and penalties for illegal activities. The FWP Commission could then establish season structure and regulations to implement a public harvest program for wolves as it does for other hunting, trapping or fishing seasons. Initiating a public harvest program is a separate administrative process from this EIS. The FWP Commission follows a process that requires public notification of the proposal, public meetings, and a comment period of at least 30 days. The FWP Commission would initiate this process at a later date when a harvest program becomes biologically sustainable. The Montana Legislature would establish license fees and penalties. Under this alternative, FWP would seek state legislation to make the unlawful taking of a gray wolf a misdemeanor under MCA 87-1-102. This statute makes it a misdemeanor to purposely, knowingly, or negligently violate state laws pertaining to taking, killing, possessing, or transporting certain species of wildlife. Including the gray wolf under this statute would be consistent with the inclusion of other legally classified wildlife species, such as deer, elk, moose, mountain lion, or black bear. Specific penalties (e.g. fines) under MCA 87-1-102 (2) would be determined at that time. FWP would also seek legislation to include the gray wolf under the restitution sections of MCA 87-1-111 that requires a person convicted of illegally taking, killing, possessing certain wildlife species to reimburse the state for each animal or fish. Restitution values could also defined in MCA 87-1-115 for illegally killing or possessing trophy wildlife. The Montana Legislature will address these in a future session. FWP would seek to maintain the public.s opportunity to hunt a wide variety of species under a variety of circumstances, and to do so in a sustainable, responsible manner. Wolf presence within the yearlong range of a specific ungulate herd adds a new factor that FWP biologists must consider among all environmental and human-related factors. FWP will integrate management of predators and prey in an ecological, proactive fashion to prevent wide fluctuations in both predator and prey populations. To that end, FWP may increase or decrease hunter opportunity for either predators or prey species, depending on the circumstances. If reliable data indicate that a local prey population is significantly impacted by wolf predation in conjunction with other environmental factors, FWP would consider reducing wolf pack size. Wolf management actions would be paired with other corrective management actions to reduce ungulate mortality or enhance recruitment. Concurrent management efforts for wolves and ungulates would continue until the prey population rebounded, recognizing that by the time prey populations begin to respond they may be influenced by a new set of environmental factors. FWP further clarifies that prey species are managed according to the policy and direction established by the programmatic review of the wildlife program (FWP 1999) and by species plans. Even though plans are written for individual species, the underlying foundation of those plans is based on an ecosystem perspective and recognizes the inherent variation in wildlife populations in response to the environment and human activities, including hunting. These plans typically describe a management philosophy that protects the long term sustainability of the resource and within management objectives based on biological and social considerations. Furthermore, populations will be managed to keep them at or near FWP objectives--rather than significantly above or below objectives. As recommended by the council, the gray wolf will be incorporated into ungulate management and future planning efforts. Livestock producers and other landowners provide many benefits to the long-term conservation of gray wolves, not the least of which is the maintenance of open space and habitats that support a wide variety of wildlife, including deer and elk. At the same time, they can suffer financial losses due to wolves. These losses tend to be sheep and young cattle, although occasionally llamas, guarding dogs or other livestock are lost. Some losses can be documented reliably but others cannot. Addressing wolf-livestock conflicts will entail two separate, but parallel elements. One element will be management activities by WS and FWP to minimize the potential for wolf-livestock conflicts and to resolve the conflicts where and when they occur. This would be funded, administered, and implemented by the cooperating agencies. Livestock producers should report any suspected wolf depredations (injuries or death) or the disruption of livestock or guarding animals to WS directly. If the investigating WS agent determines that a wolf or wolves were responsible, management response will be guided by the specific recommendations of the investigator, the provisions of this plan and by the multi-agency MOU. WS will take an incremental approach to address wolf depredations, guided by wolf numbers, depredation history, and the location of the incident. When wolf numbers are low and incidents take place on remote public lands, WS would use more conservative management tools. WS could apply progressively more liberal methods as wolf numbers increase and for incidents on private lands. Conflict history of the pack, time of year, attributes of the pack (e.g. size or reproductive status), or the physical setting will all be considered before a management response is selected. FWP will determine the disposition of wolves involved in livestock depredations. FWP may also approve lethal removal of the offending animal by livestock owners or their agents by issuing a special kill permit. A special kill permit is required for lethal action against any legally classified wildlife in Montana, outside the defense of life/property provision or FWP Commission approved regulations. FWP will not issue special kill permits to livestock producers to remove wolves on public lands when wolf numbers are low. If Montana had at least 15 packs, FWP may issue a special kill permit to livestock producers that would be valid for public and private lands. FWP will be more liberal in the number of special kill permits granted as wolf numbers increase and for depredations in mixed land ownership patterns. In a proactive manner, WS and FWP will also work cooperatively with livestock producers and non-governmental organizations with an increased emphasis on proactive efforts to reduce the risk of wolf-livestock conflicts developing in the first place. Landowners could contact a management specialist (FWP or WS) for help with assessing risk from wolves or other predators and identifying ways to minimize those risks.while still acknowledging that the risk of livestock depredation by wolves will never be zero. Incentives may even be provided to participating producers. FWP would work with the livestock industry to identify sources of funding to accomplish preventative initiatives. Some funding could come from monies FWP already provides to WS for animal damage management in cooperation with MDOL. Some of those funds could be used to support the development and implementation of preventative programs and technical field assistance to landowners in identifying risks and preventative measures prior to any depredations. Private conservation groups are also working towards those ends. Beyond technical assistance from WS or FWP and other collaborative efforts, livestock producers (or their agents) may non-lethally harass wolves when they are close to livestock on public or private lands. Private citizens may also non-lethally harass wolves that come close to homes, domestic pets, or people. Upon delisting, private citizens could kill a wolf if it is threatening human life or domestic dogs. Livestock producers or their agents could also kill a wolf if it is attacking, killing, or threatening to kill livestock. This is consistent with Montana statutes that permit private citizens to defend life or property from imminent danger caused by wildlife. This alternative also clarifies the definition of .livestock. to mean cattle, sheep, horses, mules, pigs, goats, emu, ostrich, poultry, and herding or guarding animals (llama, donkeys, and certain special-use breeds of dogs commonly used for guarding or herding of livestock) for the purposes of addressing wolf-livestock conflicts. Dogs used for other purposes such as hunting or as pets are not covered under this definition. The defense of hunting dogs or dogs as pets is addressed under Human Safety. FWP also clarifies the council.s use of .non-lethal harassment. to refer to situations in which a wolf is discovered testing or chasing livestock and the owner attempts to scare or discourage the wolf in a non-injurious manner and without prior attempts to search out, track, attract or wait for the wolf. A special permit would be required to actually injure or kill the wolf or if a person purposefully attracted, tracked, or searched for the wolf. The second element addresses the economic losses of individual livestock producers through a compensation program when livestock are injured or killed by wolves. The two elements, management and compensation, are funded, administered, and implemented separately and independently of one another -- but parallel one another, united in the goal of maintaining a viable wolf population and addressing economic losses. This Alternative would maintain and enhance the benefits of the compensation program. The State of Montana intends to find or create an entity to administer a compensation program. But compensation payments would not be made from FWP funds or matching federal funds intended for FWP programs, or from state revenue sources (e.g. taxes or the general fund). Defenders of Wildlife could be a partner. The entity or non-governmental organization would be independent from FWP to retain impartiality and negotiations would take place between the livestock owner and the independent administrator. Agency decision-making on the disposition of the problem animal is independent of the outcomes of the compensation negotiations. The results of a comprehensive analysis of compensation programs, along with future input from the public, the Wolf Management Advisory Council, and the FWP Commission could be used to determine more specific details of a compensation program. This alternative would be funded using a combination of sources to conserve and manage this native species on equal standing with other carnivores like mountain lions or black bears. License revenue will be used to partially fund the program since FWP intends to use regulated harvest as a management tool. FWP acknowledges that existing financial resources are not adequate. FWP seek will additional funding from a diversity of sources, including special state or federal appropriations, private foundations, or other private sources. The states of Montana, Idaho, and Wyoming are still investigating the idea of a grizzly bear/gray wolf trust fund that would be created through a special federal appropriation to fund the conservation and management of these two species of national significance. Compensation for livestock losses would be funded independently. to public comments expressing general support for FWP to manage the gray wolf, but to do so more conservatively and with greater numbers of wolves on the landscape. FWP would recognize and accept the challenges, responsibilities, and benefits of a restored wolf population. Upon federal delisting, provisions of SB163 take effect and wolves would automatically be reclassified under state law from .endangered. to a .species in need of management.. This statutory classification confers full legal protection. Implementation details of this alternative are the same as for Alternative 2 (Updated Council). The adaptive management framework described for Alternative 2 (Updated Council) will be modified to increase from 15 to 20, the number of breeding pairs required to transition from conservative to liberal management tools. Other program elements described for Alternative 2 would also be incorporated within this alternative. Prey species management under this alternative, would follow the recommendations of the council in Alternative 2. However, ungulate monitoring efforts would be increased over Alternative 2 due to the higher numbers of wolves present in the Montana population. FWP would address wolf-livestock conflicts as recommended by the council in Alternative 2, using the same management framework and tools. FWP and WS will provide field-level assistance and address problem wolves as described for Alternative 2 (Updated Council). Landowners will legally be able to defend their livestock from attacking wolves, similar to other troublesome wildlife. However, the State of Montana would not actively promote or create an entity to fund and administer a compensation program. Instead of a state-initiated compensation program, improved management and enhanced flexibility for the agency and the landowner would be substituted for a compensation program. Landowners would be provided with management flexibility within the guidelines of Montana law and the administrative rules adopted by the FWP Commission. Because no compensation programs are funded or administered by the State of Montana or FWP for other wildlife species such as mountain lions or black bears, this alternative would be more consistent with how damage by wildlife is addressed in Montana. This alternative would be funded similar to Alternative 2 (Updated Council), with one exception. Under this alternative, the State of Montana or FWP would not actively promote or facilitate an independent compensation program. Under this alternative, FWP would develop and adopt a wolf conservation and management program that meets the minimum standards for a secure, viable wolf population. It maintains the fewest wolves possible to fulfill the legal requirement of wolf recovery. It represents the most aggressive management philosophy, the lowest tolerance for wolf presence, and is the least conservation-oriented. Most of the underlying philosophies and guiding principles adopted by the council are stripped away, although many of the same management tools remain. This alternative most closely matches the .no wolf. sentiment expressed in some public comments. Modern scientific wildlife management principles have limited application under this alternative. The gray wolf would not be treated as a native wildlife species, nor would management be modeled after black bears or mountain lions. Wolves would be managed as closely as possible to a legally classified predator such as the coyote, while still meeting the definition of .species in need of management. which provides a legal protection not extended to the coyote. Adaptive principles would not apply. Management tools would be aggressive and liberal most of the time in contrast to the incremental approach of alternatives 2 and 3. Under this alternative, Montana.s connectivity requirement would be met through a trapping/relocation program to artificially mimic the natural dispersal events required to ensure long-term genetic viability. Wolf numbers would be capped at 10 breeding pair (federal recovery definition), which is Montana.s expected minimum contribution towards the tri-state total of 30 pairs. More than 10 packs will be required to achieve 10 breeding pairs as defined by the recovery definition because not every pack successfully reproduces. However, aggressive management would limit the total number of packs to only the minimum necessary to maintain 10 breeding pair. FWP would define a pack according to the federal recovery definition -- .a male and a female with at least two pups on December 31.. Total pack numbers will be fine-tuned to maintain only as many packs as necessary. Wolf distribution would be artificially zoned so that wolves would be strongly discouraged in eastern Montana and may in fact be trapped and relocated to western Montana. Wolves would be permitted in FWP administrative Regions 1, 2, and 3, and portions of Regions 4 and 5. The eastern boundary line would correspond to boundaries for FWP Regions 6 and 7. Wolf presence in portions of Regions 4 and 5 would be tolerated, depending on whether wolves occurred in large blocks of public land or in mixed ownerships where conflicts were likely. Wolf use of private lands would be at the discretion of the landowner, one step shy of zoning wolves out of private lands since some landowners may tolerate wolf use. Capping wolf numbers and administratively defining wolf distribution requires aggressive management tools and a liberal interpretation of management flexibility for both agencies and landowners. However, under this alternative, the monitoring program is much more intensive. This is because FWP will be managing the wolf population very close to the minimum requirements to keep the northern Rockies population from being relisted. Pack status must be known with a high degree of certainty. Under this alternative, wolf predation on big game populations would be minimized. This would be accomplished by the overall aggressive management activities of this alternative, such as capping total numbers, the liberal provisions for landowners to kill wolves on private lands, and restricting wolf use of FWP WMAs. Prey populations would be monitored less intensively than alternatives 2 and 3 because fewer wolves would be present in the Montana population. Under this alternative, there is little tolerance for wolves on private property. Individual landowners would carry relatively more responsibility for management activities on private lands in lieu of agency response compared to alternatives 2 and 3. FWP will provide as many special kill permits as possible to interested landowners for wolf control actions on their private property. Livestock producers could still kill wolves caught .attacking, killing, or threatening to kill. their livestock and the FWP Enforcement Division would still investigate defense of property incidents. WS will still respond to wolf-livestock complaints, provide technical assistance to landowners, and aid in limiting wolf distribution to western Montana. Because of the underlying premise of liberal, aggressive wolf management to limit wolf numbers and distribution, with landowner participation, livestock losses would be minimized to the extent possible. Therefore, a state-initiated compensation program is not included under this alternative. Under this alternative, the wolf program would be funded entirely by special federal appropriations, since the role of licensed hunters and trappers is expected to be minimal and the gray wolf would not be integrated into the broader context of a scientific wildlife management program. This alternative is the most expensive alternative to implement. Under this alternative, FWP would seek an agreement with federal authorities to implement the Updated Council Alternative (2) as an interim step to assuming full management authority in the event that delisting is postponed. Delisting delays could be caused by the lack of conservation plans and/or adequate regulatory mechanisms in the other two states or by litigation on the actual USFWS delisting proposal. The pubic and the advisory council anticipated delays and expressed their concerns about developments beyond Montana.s control. Comments clearly reflected Montanans. concerns that they could be negatively affected by increases in wolf numbers and distribution and a lack of state management authority if the gray wolf was not delisted in a timely manner. In response, FWP developed this unusual alternative to manage a listed species until such time as it was removed from the list. It may not be legally possible to implement some provisions, such as regulated public harvest, because of the listed status but many other aspects would be implemented. This alternative allows FWP to respond citizens. needs and address the challenges faced by those most directly affected by wolf presence, albeit more conservatively than FWP or the public may desire, until such time as the wolf is delisted and under full authority of the state. FWP believes inclusion of this alternative is important because gray wolves will continue to increase their numbers and distribution in Montana while the administrative process for delisting runs its course. Gathering public comment on this idea as part of this EIS process allows FWP to hear from Montanans about the future of wolf management under a different set of legal conditions should the gray wolf not be delisted in the foreseeable future. The significance or duration of any delay is speculative at this time. Nonetheless, this alternative outlines a potential approach that would allow FWP to become more involved in the day to day management of wolves in Montana than is presently the case. Even if FWP selected this alternative as an interim management program while the delisting process is ongoing, FWP would continue working with USFWS and the states of Idaho and Wyoming to resolve any obstacles to complete delisting and the transfer of management authority from the federal government to the respective state governments. Upon delisting, FWP would implement the remaining program elements of Alternative 2 (Updated Council) that had previously been prohibited by federal regulations. The State of Montana would be the primary decision maker. USFWS would maintain some oversight authority to assure that FWP does not violate the agreement, violate ESA or federal rules, or stray outside the provisions outlined in the alternative. USFWS would annually review the state.s program. WS would still investigate and resolve wolf-livestock conflicts according to the Updated Council Alternative. FWP and USFWS would renew the agreement, even modify it when and where necessary, until all three states have acceptable management plans and adequate regulatory mechanisms, USFWS has completed its delisting process, and any litigation delaying the transfer of management authority is resolved. Since FWP released the Draft EIS, USFWS reclassified the gray wolf from endangered to threatened in the Northwest Montana Recovery Area. The experimental, nonessential designation in the rest of Montana did not change. The downlisting was accompanied by a new set of rules and guidelines for USFWS to use in resolving conflicts. They provide greater management flexibility for agencies and private landowners to resolve conflicts on private land and offer agencies additional tools to help address wolf-livestock conflicts on public lands. Because USFWS adopted the final rule and reclassification, FWP would consider implementing this alternative if adequate funding could be secured. Upon delisting, FWP would take the administrative steps necessary, including those assuring full MEPA compliance, to implement those provisions of the Updated Council Alternative that had been prohibited by federal law. State laws and regulations would then fully guide the program, including the provision of SB163 that reclassifies the wolf from .endangered. to a .species in need of management.. This classification offers full legal protection. Under this alternative, FWP would implement all the wolf conservation and management elements outlined in the Updated Council Alternative (2) that are consistent with and allowed by federal law and regulations. Nearly all aspects would be allowed in some form or another, but the circumstances by which gray wolves could be injured or killed is an important consideration because wolves would still be listed under ESA. Regulated harvest of wolves through hunting and trapping is not possible under this alternative. Furthermore, special kill permits issued by FWP to address wolf-livestock conflicts would be subject to the same provisions as the federally issued permits. FWP would still integrate the wolf management with ungulate management as described for Alternative 3. However, FWP.s wolf management tools would be limited to relocation if reliable data indicate that a local prey population is significantly impacted by wolf predation in conjunction with other environmental factors. Regulated harvest could not be used to reduce pack size while wolves are still listed under ESA. Montana.s final plan will need to describe what the adverse impacts are, how they will be measured, and identify possible mitigation measures. Before FWP initiates capture and relocation efforts, USFWS would need to approve the state.s final plan and determine that such actions will not inhibit wolf population growth toward recovery. Wolf-livestock conflicts would be addressed similar to the Updated Council Alternative (2), except that federal law and regulations guide actions by livestock producers, WS, and FWP that would harass, injure, or kill wolves in conflict with livestock. The federal regulations are similar to Alternative 2 (Updated Council) in that they are intended to promote flexibility for landowners and agencies to resolve conflicts by directing management response at problem wolves. The specific management tool most readily available to livestock producers to resolve conflicts is a permit that authorizes the permittee to take a wolf under certain conditions. These are similar to the state's special kill permit described under Alternative 2. However, the federal regulations are more restrictive, in keeping with the listed status. It is important to note that while the adaptive management framework still guides the incremental approach, taking of wolves under the federal regulations is guided by whether the conflict took place on public or private land, rather than the proposed adaptive framework of remote public lands or mixed land ownerships in Alternative 2. Funding to implement this alternative would be split between Montana and the federal government because the species would still be listed and Montana lacks a significant source of funding dedicated to listed species. ESA Section 6 provides for 90% of the funding, but Montana would need to fund the remaining 10%. This 90-10 cost share is also predicated on the condition that Montana continues to coordinate with the other states to recover and delist the gray wolf, which most certainly will be the case. FWP would fund its share either through private sources or by state license revenue. Table 2 summarizes how each of the five alternatives addresses the major issues. Wolves will be present in Montana regardless of which of the five alternatives is selected, but the number of wolves present will vary by alternative. Different management philosophies and tools will lead to different outcomes, each based on the range of management philosophies . from conservative to aggressive. The environmental consequences are speculative because no one can accurately predict the status of Montana.s wolf population at the time of actual delisting, which may be one to three years away. Moreover, the actual outcomes will result from future management decisions and circumstances that may or may not have been fully anticipated. Therefore, the reader may find it helpful to consider the significance of the impacts described in each alternative, and then to compare alternatives relative to each other rather than to focus exclusively on the prediction. The impacts are estimated using the best available information and historical data, in keeping with accepted scientific and statistical methods. For this EIS, FWP evaluated the environmental consequences by assuming each alternative would be implemented starting in 2003. Impacts are then reported for 2015. Some environmental consequences will be short term and develop rapidly. Others may not emerge for several years. The longer time span accounted for: 1) the time required to complete the delisting process, 2) the biological life span of wolves and their prey, and 3) impacts which develop while the wolf population stabilizes. Cumulative environmental impacts result from incremental consequences added to other past, present, and reasonably foreseeable actions by FWP, including actions by other state agencies and businesses regulated by other state agencies. In this EIS, consideration of cumulative impacts is limited to the State of Montana. While impacts are predicted, it is also possible for FWP to mitigate or lessen impacts to some degree, based on how and when specific management strategies described for each alternative are implemented. FWP intends to lessen the impacts of a recovered wolf population where possible, while still maintaining a secure and healthy population. A summary of the consequences of each alternative is presented in Table 3. Table 1. The main issues identified through two public comment opportunities (scoping in 2002 and the Draft EIS in 2003) and their frequency. Table 2. Summary of how each alternative addresses the issues identified by the Montana Wolf Management Advisory Council and by the general public in spirng, 2002. Table 3. Summary of environmental consequences for each alternative. Figure 1. Minimum fall number of wolves in the State of Montana, 1979-2002 and the first known dispersal event leading to a new pack in the Montana population (USFWS unpubl. data). The arrows show the years of the first known dispersals of radio-collared animals into the State of Montana to start a new pack or join an existing pack. Issue scoping allows the public to identify issues, concerns, and what it wants FWP to address in the EIS. FWP is required to allow at least 30 days for scoping under the Montana Environmental Policy Act. The agency, however, designed a 60-day process to ensure wider opportunities and more time to comment. FWP conducted community work sessions in 12 Montana towns in March and April, provided opportunities to comment on-line, in addition to taking comment via Fax and regular mail. More than 800 people participated in the community work sessions and the agency received more than 4,000 comments between February and April. Comments were received from nearly every Montana county, 110 different Montana zip codes, 49 out of 50 states, and eight foreign countries. The various alternatives will be developed based on these comments. The summary below capture the sentiment and offer a general picture of a representative cross section of comments. Comments are nearly verbatim and emerged from communities across Montana, as well as from many non-residents. Because of the volume of comments received, this summary was prepared to capture the cross section of input and to help formulate alternatives in the EIS. It was interesting to note the differences in comments between the work sessions and the written letters as well as the geographic differences across the state for the work session comments. Some issues appear to be more regionally focused than others. Representative comments are shown in bullet format. The alphanumeric code indicates the identification number in the computer database. “S” denotes comments recorded at the community work sessions and “W” denotes comments received through the mail or via E-mail. The number indicates the record number in the respective database. Comments are nearly verbatim for both databases; they were streamlined to remove unnecessary text while still preserving most of the original words. Wolf Management (1203), Numbers (611), and Distribution (193) – ( 2011 total) comments address the philosophies, tools, and strategies for wolf management, the numbers of wolves in Montana, and where they live. Eliminate the population or keep them in the park at the fed’s expense. Social Factors (803) – comments address various social values associated with wolves and wolf management. Wolf management should be treated like that of other large carnivores. W1181. Administration and Delisting (623) – comments address state and federal responsibilities, the current status of wolves, their recovery, federal and state delisting processes, and the progress of planning efforts in other states. Can we find common ground between pro-wolf/anti-wolf? Find a compromise that promotes a healthy ecosystem and a healthy economy. Predator and prey relationships (501) -- comments address wolf impacts on Montana game populations and how wolves, game and other wildlife will be managed, and Montana’s hunting heritage. You need good information on how the increased number of wolves integrated with existing populations of bear and mountain lion and what effects this will have on big game populations. W515. The elk population appears to be thriving in our area, not being destroyed as some big game groups would lead us to believe. There is a need for balance and the wolves can help provide this. Do remember those wolves were here with the elk long before we ever came to Montana to build fences and block the range. All existed together just fine. We seem to be the ones to have thrown the balance out of place. We also have the ability to make it right. W800. Funding (447) – comments address wolf management costs and the source of funding. The tri-state area encompassing Montana, Idaho, Wyoming should not alone incur the costs of managing wolves. W1144. Livestock (414) – comments adresss Montana’s livestock industry and its importance and responsibilities; and government and private citizen actions when wolves kill livestock. Livestock owners need to be able to respond to wolf depredation. S325. Wolf Habitat / Connections /Land Management (388) – comments address the need for wolves to move freely through Montana, question how and where this will be accomplished, and how motorized travel and land use will be affected. Compensation (287) – comments address payments to livestock producers and others who experience wolf depredation losses, and the funding and administration of a compensation program. Economics/Livelihoods (227) – comments address the economic costs and benefits of wolves in Montana, including their effect on livelihoods, tourism, and fiscal impacts to FWP. A lot of people benefit from wolves being restored to Montana. There are legitimate costs, but we should figure out a way to spread the cost around among all who benefit. S2364. Diversity is the key to our economy. We need to be better stewards of the land and all life that lives on it. W667. Information/Education, Public Outreach (208) – comments address the need for FWP to develop information and education techniques and programs to keep Montanans informed about wolf conservation and management, including human safety and technical assistance for landowners and other rural residents. Education programs aimed at people moving into the urban/wildlife interface should be instituted. Human Safety (162) – comments address concerns Montanans have for the safety of their children, their pets, and their livestock. Monitoring (151) – comments address how closely wildlife managers will keep tabs on wolf populations, pack sizes, and pack locations and the status of prey populations. Private Property ( 77) – comments generally capture the sentiment of “private property rights” in regards to wolf presence on private property, protection of private property etc. Some comments assert landowner’s “right” to allow wolves on their private property. Other comments assert landowner’s “right” to control or manage wolves on their private property. Livestock producers need greater flexibility in resolving wolf conflict situations. Additional flexibility should include authority to protect private property on public, as well as mixed land ownership, and private lands. W1144. For more than 100 years, sportsmen have contributed to habitat programs to create a favorable environment that was sold to us as a benefit to our wildlife management areas. For habitat that ultimately improved hunting conditions that increased the herd sizes, this shouldn’t be wiped out to create a park-like environment. S625. Q. What is the wolf conservation and management effort all about and why are Montana, Idaho and Wyoming involved? A. Among the federal requirements for removing the gray wolf from the endangered species list, Montana, Idaho, and Wyoming must have management plans and other regulatory mechanisms in place to maintain the recovered population within the Northern Rocky Mountain Recovery Area. Q. Are the states fulfilling their federal requirements? A. Yes. All state plans are now complete. Montana's effort was recently characterized as "a class act" by federal authorities. Now that each state has management plans in place, federal officials say they will take the necessary legal steps to officially delist the gray wolf. Once delisted, the states of Montana, Idaho, and Wyoming will each be legally required to sustain a viable population of wolves. Q. The USFWS recently downlisted wolves in the Northwestern Montana Recovery Area from endangered to threatened. How does that affect Montana's wolf conservation and management effort? A. This is terrific news for Montana. Downlisting the gray wolf to threatened brings Montana one step closer to the full recovery of the gray wolf and its eventual delisting. Montanans have made important contributions towards this wolf recovery. In the interim, while the wolf is still a federally protected species, the new rule enhances management flexibility for agencies and private landowners to resolve conflicts on private land and offers agencies additional help to address wolf-livestock conflicts on public lands. Q. What issues have emerged in Montana? A. Through the work of the Montana Wolf Management Advisory Council-and subsequent community work sessions throughout Montana in 2002-03-Montanans identified issues related to: wolf management, numbers and distribution; social factors; administration and delisting; prey populations (deer, elk and moose); funding; livestock; wolf habitat; compensation for livestock losses; economics; information and education; human safety; wolf monitoring, and others. Q. What does the recommended Montana's wolf conservation and management plan seek to establish? A. The recommended plan, which is an updated version of the Montana Wolf Management Advisory Council recommendations, would create a wolf conservation and management program similar to that for black bears and mountain lions. It would be based on numbers, distribution and public acceptance. Wolf management techniques, and the methods used to resolve conflicts, would be based on a benchmark of 15 breeding pairs in Montana. The plan considers the spectrum of management activities-from simple harassment techniques to chase wolves away, to lethal control measures, like offering kill permits to landowners and regulated hunting or trapping. The aim is to sustain the wolf population, Montana's deer and elk populations, and to help resolve wolf-human and wolf-livestock conflicts. Q. Why did FWP FWP choose to recommend the Updated Council Alternative as the final plan? A. To best balance the diversity of public interests and desires about wolf conservation and management. The recommended plan is based on the consensus recommendations of the Montana Wolf Advisory Council, a broad array of public comments gathered throughout this EIS process, and advice from wolf experts. It seeks a balance between the biological needs of wolves and the concerns of people. Q. Will FWP now begin to manage wolves? A. No. Even after the Record of Decision is signed by FWP Director Jeff Hagener in September, a state plan is just one step FWP and Montana must take in what is expected to be a longer federal process that includes an evaluation of each state's plan and regulations that must together maintain a secure wolf population. Q. Is FWP going to manage wolves? A. That is the agency's hope. But FWP won't obtain management authority until wolves are officially delisted. In addition, the U.S. Fish & Wildlife Service must approve Montana's, Idaho's, and Wyoming's management plans. FWP, however, firmly believes a state-administered conservation and management program can best address the diverse expectations of Montana's citizens. Q. What are the legal aspects of state-run wolf management? A. Upon delisting, the gray wolf will be reclassified under state law from "endangered" to a species "in need of management" which establishes the legal mechanism to prevent intentional human-caused mortality outside the immediate defense of life/property. When it becomes clear that the management program is maintaining a secure, viable population, reclassification to big game or furbearer may follow. Q. Would any other state agency have any legal obligations regarding wolf management? A. Yes. Montana law assigns joint responsibility to FWP and the Montana Department of Livestock to manage wildlife that can cause damage to livestock. FWP and DOL will work together with federal Wildlife Services (formerly Animal Damage Control) to resolve wolf-livestock conflicts. Q. How many wolves are there in the Northern Rocky Mountain Recovery Area? Q. How many wolves are in Montana? A. Federal officials estimated that 183 wolves, in 35 packs, and about 16 breeding pairs inhabited Montana. These estimates were made in December 2002. Additional wolf packs-and dispersing wolves-may exist but have yet to be confirmed. Q. What will it cost to manage wolves in Montana? A. FWP's best estimate for the preferred alternative suggests that it will cost from $913,000 to $954,000 annually. Cooperating federal agencies are expected to incur some expenses through the federal budgetary process. Q. Can FWP fund wolf management in Montana? A. Not at this time. It is clear existing financial resources are not adequate to manage wolves in Montana. Additional funding will be required to implement all elements of a wolf management program. Q. How will state wolf management be funded? A. The recommended plan directs FWP to seek additional funding from special state or federal appropriations, private foundations, or other private sources to supplement funds committed by FWP in amounts similar to those for other native carnivores like black bears and mountain lions. The governors of Montana, Idaho, and Wyoming are pursuing a program called the Northern Rocky Mountain Grizzly Bear and Gray Wolf National Management Trust to help the states fund the management of recovered threatened and endangered species. The idea originated in Wyoming. In light of local funding and resource shortfalls, the states hope Congress will recognize the significant national interest in the conservation and management of these species. In the interim, the three states may seek special Congressional appropriations to fund state activities during the transition of management authority. Q. Will wolves impact game populations like deer, elk and moose? A. Yes. How much of an impact is uncertain at this time. Wolves-like mountain lions, coyotes, and bears-eat deer, elk, moose and other game animals. All wildlife populations are variable through time and across a diversity of habitats. Population numbers fluctuate. It won't be the same everywhere all the time. Research in Montana and elsewhere has shown that predation may influence deer, elk and moose populations through changes in the survival of young, the death of adult animals, or a combination of both. For example, a higher than normal number of female deer die in any given year from things such as hunting or a severe winter, local conditions could be ripe for wolves and other predators to keep that deer herd's numbers suppressed or slow its population growth. Q. Will wolves affect hunting in Montana? A. They probably will in some places. As with other population effects, however, there is no clear answer except that wolves will add another factor to consider among all the environmental and social factors wildlife biologists wrestle with every year. Hunting opportunities are then adjusted in response to all factors combined. Wolves may affect some local, deer, elk or moose populations. When predation is combined with unfavorable environmental conditions-like drought or a severe winter-it may affect hunter opportunities in that area. Q. How will FWP assess whether wolves are adversely affecting a big game population and how will it respond? A. Monitoring programs will help FWP detect changes in both wolf and prey populations. While a direct cause/effect relationship between wolf predation and prey-population decline is difficult to pinpoint with certainty, in light of other environmental factors, FWP would consider reducing the size of the wolf population in a localized area. Wolf management decisions would also be paired with other management actions to reduce prey mortality - like adjusting hunter opportunity or more aggressive management of other predator species such as mountain lions. Parallel management efforts for predators and prey would continue until the deer, elk, or moose population rebounded and environmental conditions are favorable. Q. What will livestock producers be able to do to protect their livestock under state management authority? A. Under the recommended plan, management tools are intended to decrease livestock depredations. Livestock producers would be offered assistance to reduce depredation risks, and they would be allowed to harass wolves, or to kill wolves caught attacking, killing or threatening their stock. In addition, to remove a wolf causing chronic conflicts, a livestock producer could receive a special kill permit. All such incidents must be reported to FWP and an investigation would follow. This is consistent with current state laws that address the protection of human life and private property when they are in imminent danger. Q. What impacts will wolves have on livestock or stockgrowers? A. From 1995-2002, authorities confirmed 108 cattle, 220 sheep, 21 dogs and nine llamas were lost to wolf depredation in Montana. Some stockgrowers, however, have experienced other "unconfirmed" losses they suspect were due to wolves. So far, most depredation incidents investigated by Wildlife Services within Montana occurred on private land. Although wolves cause a small number of the total livestock losses in Montana compared to other sources of livestock mortality-like weather, disease, and reproductive problems-personal financial losses may result directly from wolf depredation. Indirect costs may accumulate because of increased management activities, changes in husbandry practices, injured livestock, or uncompensated losses. These financial hardships accrue to individual farmers and ranchers and may be significant to them. Q. Will farmers and ranchers get compensated if wolves injure or kill livestock when wolves are managed by Montana? A. The recommended plan directs the State of Montana to develop, in cooperation with livestock producers and private groups, an entity to administer and fund a compensation program for damages caused by wolves. Compensation is critical to maintaining tolerance for wolves by livestock producers who experience financial losses due to wolves. Q. How will this program be funded? A. That will be determined by the work accomplished by the State of Montana, livestock producers and private groups who will seek to create an entity to administer and fund a compensation program for damages caused by wolves. Q. Doesn't the Defenders of Wildlife already have a program to compensate farmers and ranchers when wolves injure or kill livestock? A. Yes, but Defenders of Wildlife may end the program when wolves are delisted. Livestock producers have been compensated for confirmed losses at fair market value and 50% of market value for probable losses at the time of death and at fall value for young of the year. Between 1987 and 2001, Defenders of Wildlife paid more than $81,000 for all confirmed and probable wolf-caused losses in Montana. Q. Should Montanans be concerned about public safety? A. Wolves generally fear people and rarely pose a threat to human safety. In the past 100 years, there have been several published accounts of human injuries, but no fatalities, due to wolves. It is, however, unusual for a wild wolf to associate or interact with people, linger near buildings, livestock, or domestic dogs. This behavior is more typical of a released captive wolf, a wolf habituated to a domestic food source or wolf-dog hybrid. Wild wolves generally have some place to be and something to do and do not seek out or loiter around areas of human settlement. Q. What should Montanans do if they see a wolf? Chase Hibbard (Chair); sheep and cattle rancher; Helena. Dr. Charles Buehler, M.D. ; orthopedic surgeon; Butte. Darlyne Dascher; FWP commissioner and cattle rancher; Fort Peck. Hank Fischer; former Defenders of Wildlife Northern Rockies representative; Missoula. Jay Kirkpatrick; conservation program, Zoo Montana; Billings. Bruce Malcolm; cattle rancher and outfitter; Emigrant. Dan Carney; wildlife program, Blackfeet Nation; Browning. Bruce Tutvedt, cattle rancher, Kalispell. Dr. Nelson Wert, DVM; veterinarian; Townsend. James Cross; hunter and wildlife biologist; Kalispell.